ZAYID in our SPECIAL SILVER WEAVE! The silver fabric is not a dye -- it's the product of a tight weave of black and white threads that create a perfect heathery gray! 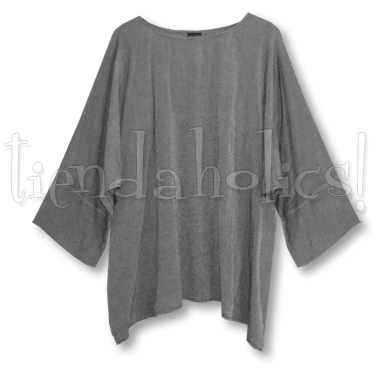 And this luxurious silver susti oversized tunic is IN STOCK NOW! To see more details -- and measurements --about this comfiest tunic on the planet click here for the Zayid main page.